A total of eight people have now died following exposure to H7N9, a lethal new strain of bird flu that by last count had infected at least 24 people. Concern, expressed by epidemiologists and felt by people around the world, is prudent and warranted. Panic, and the rhetoric that comes with it, is not. H7N9 may be lethal, but flu viruses are a capricious lot, prone to unpredictable mutations and patterns of proliferation. This new pathogen could spread around the world, similar to H5N1, but it could also peter out before ever leaving eastern China. No matter what happens, how we respond to a pathogenic threat –real or perceived – will directly influence our ability and readiness to respond to similar scenarios in the future. 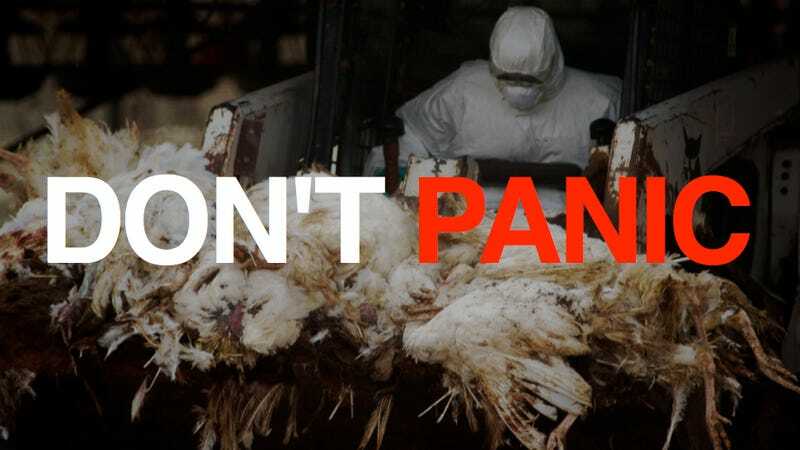 This fact, says David Quammen, whose latest book explores the spread of non-human animal infections to human populations, is one we should all bear in mind amidst the tone of hysteria that is likely to crop up in coverage of H7N9 in the weeks to come. Information travels much faster. So does misinformation. Confusion, alarm, misplaced concern, and even panic can move at the speed of electronic gossip, sweeping out ahead of the science, the judicious public health warnings, or any sneezable virus yet discovered. Those are points to keep in mind as you watch your media sources, over the next few weeks, for updates on H7N9, the newly emerged avian influenza virus that's now killing people in China. This story broke on March 31, when Chinese authorities announced that a new form of bird flu had been detected in three patients, two men in Shanghai and a woman in Chuzhou City (map), hundreds of miles away. The two men had died earlier in the month, but laboratory analyses were just now available. The new virus caught the attention of health officials and flu researchers all over the world because this particular subtype, H7N9, has never before been known to infect humans. Where had it come from? How had it gotten into people? How transmissible among humans, and how lethal, might it prove to be? The answer, Quammen goes on to explain, is that we simply don't know right now. That doesn't mean we can't work to figure it out, or that health officials should not take immediate and purposeful action to prevent the pathogen's spread, but hyperbole and today could make it more difficult to respond to a truly devastating plague down the line – whether it's in the form of H7N9, or some new, as-yet undiscovered virus. We highly recommend checking out Quammen's piece in its entirety over at National Geographic.